Jane Unsell graduated from Oklahoma City University Law School at the top of her class in 1979. Following her admission to the Illinois and Oklahoma bars, Ms. Unsell began her private practice with the Madison County law firm of Bernard and Davidson located in Granite City, Illinois. She remained there until 1986, at which time she opened her own law practice in East Alton, Illinois. During her work at Bernard and Davidson, Ms. Unsell prepared and tried multiple cases before Madison and St. Clair County, Illinois juries. She has represented insurance companies, defended individuals and prosecuted claims for injured parties. In 1995, after leaving Bernard and Davidson and opening the law office of Unsell & Unsell she obtained a jury verdict for an injured plaintiff in an auto/truck which was recorded as the largest plaintiff verdict at the time in Macoupin County, Illinois. At present she focuses her practice primarily on representing clients injured in motor vehicle accidents. Additionally, she represents individuals who have been wrongfully denied insurance coverage. She also handles contested estate and guardianship cases, she now sits as a hearing panel member for the Attorney Registration and Disciplinary Commission in Springfield, Illinois. 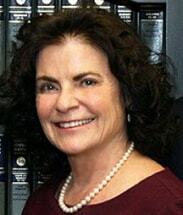 Mrs. Unsell is the senior partner in the law firm of Unsell, Schattnik & Phillips, PC which she founded in 1992. In 2010 she relocated the office from East Alton to Wood River, Illinois.